Think about Dubai, and usually scenes of giant skyscrapers, the hotel shaped like a sail boat, and Lamborghinis, fill your thoughts. But there are many other activities to do in this modern and newly built city. If you enjoy the outdoors, stretching your legs, and getting away from the concrete and glass, here are a few excellent choices. Few people think about the beach when they dream of visiting Dubai. However, the city is positioned right next to the beach along the Arabian Gulf. A popular local beach is Jumeirah Beach Park. After paying a small entrance fee, you can spend the day relaxing by the calm waters. There are green grassy areas, places to have a barbecue, and plenty of playgrounds and things for kids to enjoy. Al-Mamzar Beach Park is another great beach option in Dubai. There are also numerous Hotels in Dubai, situated along the beach, that make the perfect place to hang out, relax, and take a dip whenever you please. Ok, so Ski Dubai is actually indoors, but it is an exercise activity in Dubai, that feels like you're outdoors! 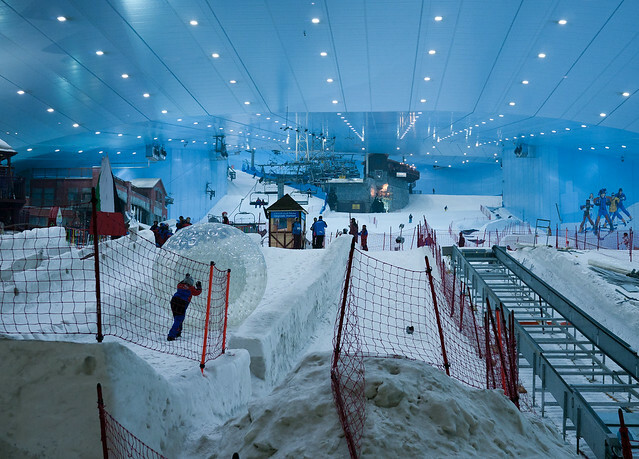 Located in the Mall of the Emirates, Ski Dubai is a massive indoor snow park, where everyone from beginners to experts share the slopes skiing and snowboarding. Walk in wearing shorts and flip flops, and you can rent everything you need for a day of playing in the snow, and coasting down the hill. There are few better ways to enjoy the scorching sunshine of Dubai than by spending a day riding thrilling slides while being soaked with cold water. The two main water parks are Aquaventure and Wild Wadi. Both parks offer an extensive range of slides and water activities that cater to both children and adults. In the midst of the sand dunes and the desert dryness are numerous golf courses. 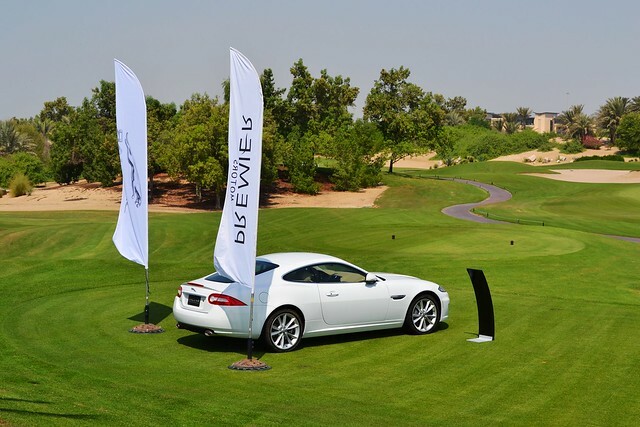 Playing golf is a major draw to Dubai and there are even courses designed by famous golfers like Ernie Els and Tiger Woods. For an exclusive golf-focused trip to Dubai, you might even want to do some research, on places like Thinkhotels, to find hotels located directly on a golf course. Despite the desert surroundings, many golf courses in Dubai are lush and green, filled with fountains and trees, and offer stunning scenery. Dubai, is of course, in the desert, and sand dunes are never far away. A hobby for many locals in Dubai is taking their souped-up four wheel drive Toyotas out into the dunes for an exciting roller coaster ride through the sand. The leisure sport is also a very popular activity for many tourists who sign up for a desert safari. You get assigned a driver and proceed to ride in the truck, rolling up and down through the dunes, kicking up sand at extremely fast speeds. 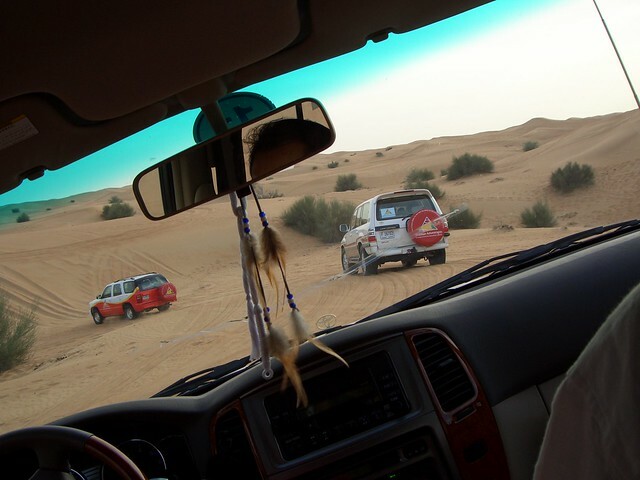 Desert safari trips often include sand dune drives, a Middle Eastern dinner, and an an overnight stay at a desert camp. While Dubai is famous for buildings that touch the sky, luxurious 7-star hotels, and shopping that never ends, there are lots of other options to consider when planning your trip to the city. Doing some activities outdoors, while soaking up the sunshine, is a great way to spend time in Dubai. Great post! Wild wadi is my favorite. Please allow a day if you are going to Wild wadi and it’s best to go in the morning and spend all day there. On desert safari, be sure to ask what’s included in your package, a BBQ doesn’t always mean a buffet of BBQ, it’s usually just a piece of chicken in low cost packages.